St. Mary Parish knew change was needed. By the mid-2000s, the state of Louisiana had placed several of its schools in “academic assistance,” a designation for schools that fail to improve sufficiently. Some had remained there for nearly 10 years. Meanwhile, the rural district’s test scores lagged behind the state average. 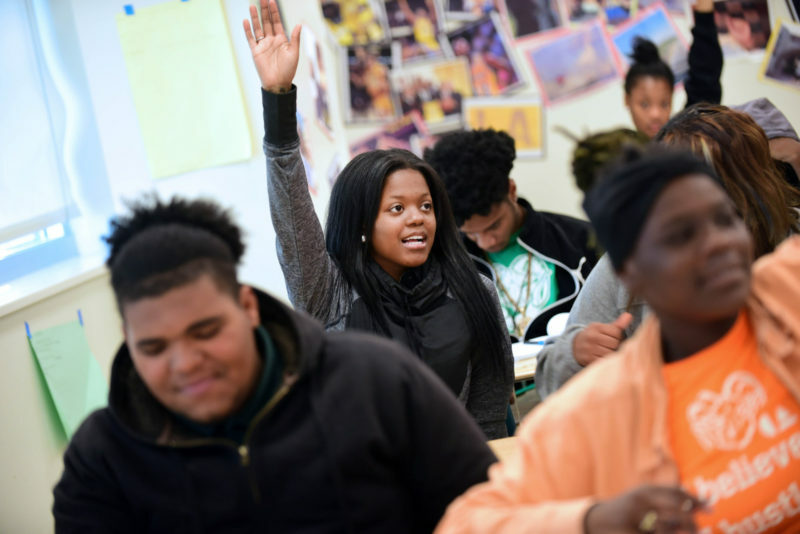 By 2016, the high-poverty school district had turned around. The district’s letter grades were up to a B from a D, and it had risen in state rankings from the bottom half to the top quartile. How did we do it? By launching a number of initiatives to close achievement gaps and help students improve their academic performance. The district aligned curriculum, instruction and assessment to meet learning standards recently adopted by the state and modeled on the Common Core state standards. We established district-wide instructional calendars, regularly administered formative assessments and analyzed data to pinpoint student weaknesses for re-teaching and remediation. Through it all, the key to St. Mary’s success was to place students at the forefront of all decision-making. Often that involved thinking differently about how, when and where teaching and learning actually occur. 1. “Credit recovery” for struggling learners. Not every student succeeds at something on his or her first attempt. To lower the dropout rate and keep students on track to earn diplomas, we started a “credit-recovery” program to assist high school students who have lost credit in core subjects due to failing grades or excessive absences. Using Fuel Education’s self-paced online curriculum, students quickly move through material they have mastered and spend more time on areas in which they are struggling. The student must successfully complete all assigned modules and pass a state-approved test. The Accelerated Student Academic Program, or ASAP, has enabled an increasing number of struggling learners to graduate on time with their peers. This is contributing to steady gains in our graduation rate, which improved from 67.2 percent in 2008-09 to 84.9 percent in 2015-16. 2. Opportunities for online learning. Some students may require a more flexible learning schedule than the typical school day allows. The St. Mary Parish Virtual Learning Program (VLP) was established to meet the needs of full-time students in grades 6-12 who want to complete coursework from locations of their choice and part-time students in grades 8-12 who need to schedule one or more online courses to supplement their traditional face-to-face courses. Related: What happened when a city full of teachers, most of them black, was fired? VLP instructors are state-certified local educators who have received specialized training in online teaching. They provide support and feedback to students through the Blackboard learning management system or by email, telephone or live audio/video conferencing. 3. Expanded summer learning opportunities. In many districts, summer school is restricted to students with remediation needs. In St. Mary, our VLP also offers a Summer Learning Institute, which allows high school students to take advantage of the summer break to enroll in new courses or retake courses for credit. The Summer Learning Institute’s courses are the same high-quality, instructor-supported core and elective courses offered by the VLP during the school year. The flexible nature of online courses means that students can still participate in normal summer activities while allocating sufficient time to their weekly course schedule. 4. Direct and intensive targeting of skills that confine struggling readers. More than a decade ago, far too many of our students were struggling readers. Our programs were not meeting students’ individual needs. Many interventions were time-intensive, and our paraprofessionals could only serve a small number of students on any given day. In 2006-07, St. Mary implemented a neuroscience-based language and reading intervention called Fast ForWord. The program begins by improving underlying cognitive skills associated with reading. It then delivers personalized, intensive practice across a wide range of language and reading skills. Initially, the school system used the program across grades 1-12. Now, our philosophy is to get students into the program early. All students in kindergarten through second grade participate in the online program 30 to 40 minutes a day. Students in third grade through fifth grade participate only if they need extra practice. 5. Improving student performance district-wide. Each student’s achievement is critical to the overall success of our district. From 2006 to 2016, St. Mary Parish raised its district performance score from 60 points to 99.2 points. In 2017, we raised it again to 99.7 points (out of a possible 150 points) — a mere 0.3 point from attaining an A letter grade. By placing students at the forefront of every decision and supporting teachers with the necessary resources for effective instruction, we have been able to sustain exceptional growth. The efforts of our teachers, students, administrators and instructional staff illustrate a deep commitment to public education. Leonard Armato was appointed superintendent of St. Mary Parish Public School System in Louisiana in 2015. He previously served as the district’s special education supervisor.